I love the Disney version of Beauty and the Beast, did you ever play the computer game that's based on it? It was really cool. As for POV, like you said, first person *can* be great, especially when it creates extra tension like in the Hunger Games, I also really enjoyed it in Rebecca. I don't think either story would have worked otherwise. 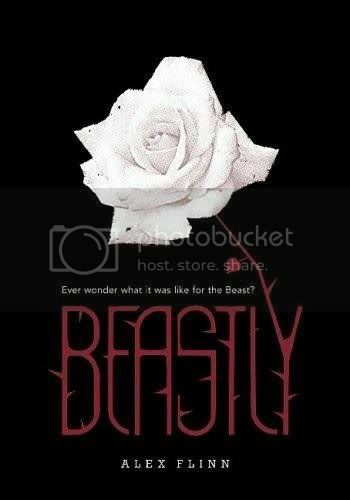 Beastly sounds like an enjoyable read, I'll have to add it to my TBR list. I really loved Beastly! I'd just been wondering the other day when the movie is going to come out, so I'm glad you mentioned it! I'm pretty excited to see how it relates to the book. As far as POV goes, I'm with you on this one. I've never been a fan of first person narratives. It worked for Hunger Games, but I don't like it in pretty much every other book it's been done it. I totally forgot that Beastly was done in first person... I guess that shows you the impact it had on me. lol. First person: love it, hate it, can't live without it? Personally I don't hate 1st person narratives, but I prefer third person instead. 1st person has a tendency of Mary/Gary Sue if it's done badly. Plus it's a bit hard to learn about secondary characters without being clouded by the main character prejudice. It's like hearing stories from other person, it can be wrong or right. So third person narratives is the best for me. I love the whole re-taling of the story and making it modern. Great review. I can't wait to see the movie. But a talented writer can make you see the development of secondary characters through their main character's eyes, despite the bias of the character, and I actually think this takes more skill than third-person narratives (if, as we've been saying, it's done right). It can be done so well. I quite enjoy first-person narratives, myself. I definitely need to read this one. I love the Beauty & the Beast story and I've read Robin McKinley's two retellings (BEAUTY in particular is awesome, if you haven't read it yet), so I definitely need to give this one a try!! Beauty has been on my TBR list for SO LONG! I really should get to reading that... I only hear good things about it. I agree I really enjoyed this one and can't wait to see it on the big screen! This sounds like a fun read! I too would totally go see the movie just for NPH. Love him. I don't really have a blanket opinion of first-person narratives...for me, it really has to do with the nature of the book. But I totally understand why you generally don't like them--they are very limiting as far as character development outside of the main character. But they also allow the reader to question things they may not with a third-person narrative, like narrator reliability (hmm...I think I've been in too many English classes...).